Wine may not answer all our problems, but there are times when a glass or two certainly helps. 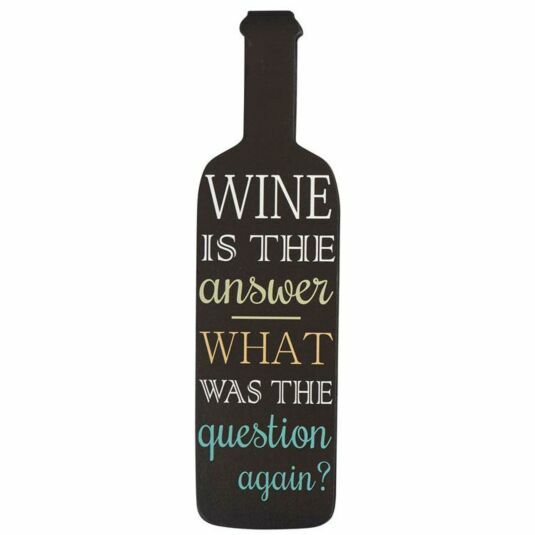 This bottle shaped sign is a reminder of this fact, and a good excuse for a tipple! The sign is provided with a hanging hook on the back. Down the hatch!